Faye is a real estate agent who pays attention to details and is known for her honesty, friendliness and professionalism. Born and raised in Hawaii, Faye has had past work experience in the construction and hotel industry. She and her husband, Arnold have been business owners for over 20 years and have two grown children and 1 grandchild. Faye enjoys cooking and baking, spending time with her family, going to the movies, golfing when she can and being around positive people. 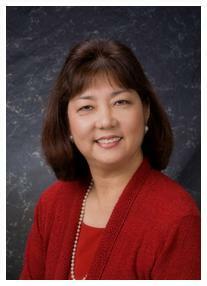 She is a member of the Ark Christian Center and has been a past president of the Hawaii Ladies Golf Association. Faye's goal as a REALTOR® is to develop and maintain relationships with her clients that will last a lifetime. She continually educates herself to better serve and help her clients. Faye feels that buying and selling residential properties for her clients is a great privilege and honor; and deals with each client in a professional, courteous, fair and honest manner.